Close to nature and embrace the poetic and tranquil country life. In the backyard of the Pearl River Delta —— Huanghua Town, Yingde City of Qingyuan, life is like what it describes above. The only road of the town winds through the mountains and extends deep into the forests. 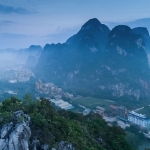 Most of the dwellings are built along the road, with the beautiful scenery as the background. 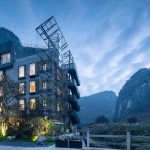 Puyi Hotel has taken advantages of the ideal location and superior natural environment, trying to provide a simple and elegant residence. It shows us that only when we respect nature can we live in harmony with nature. 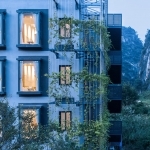 Located on the bank of Huanghua Brook, Puyi Hotel is only 100 km away from the big cities of the Pearl River Delta. 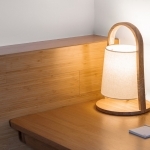 Based on the theme of “bamboo”, it is built among the green mountains and fields. The site of the hotel used to be a country dwelling. 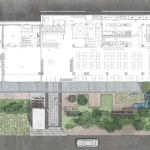 The design has paid attention to people’s requirements for a proper spatial scale, interpreting the “idea of ecology” from three different levels. 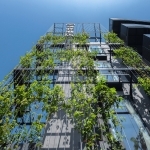 First, it means ecological design. 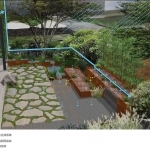 The design for the architecture, the interior and the rainwater garden should follow the natural rules, trying to use the local and ecological materials, which will help to keep the cultural characteristics and high quality. 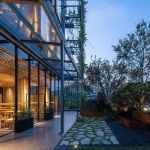 The architectural design has firmly obeyed the natural rules, highlighting the eco idea. 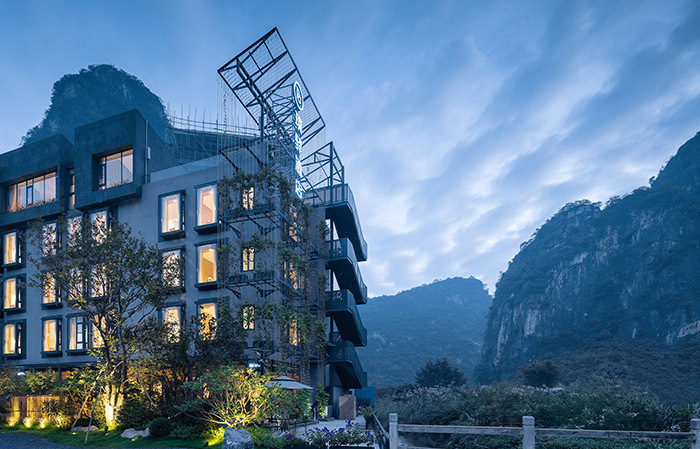 Inspired by local culture, the exterior walls are built with local stones, which are covered with green vines to shelter the building from direct sunlight and keep it in harmonious with the surrounding mountains and forests. The rainwater garden at the hotel entrance is ecologically designed with the sponge city techniques. The corridor on the ground floor not only serves as a shelter but also for rainwater collecting. 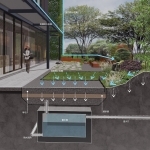 In the rainy season, rainwater runs along the edges of the canopy, the stainless steel grooves and the rainwater garden, finally flowing into the underground storage tanks. 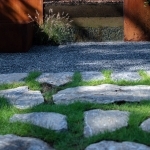 The whole route is hidden among the well-proportioned plants, creating an unexpected visual effect. 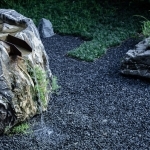 At the same time, the ground rainwater is collected and purified through the green plants. Once the rainfall surpasses the capacity, the extra rainwater will flow into the underground storage reservoir, and then be pumped back and purified for irrigation or waterscape. It forms a circulating system. Day in and day out, this self-circulating system well protects the ecology and nature, well interpreting the second meaning of “ecology”. 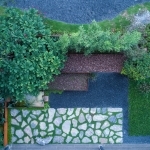 Walking along the brick path, one will easily reach the hotel hobby, which is well decorated with bamboos, wood and stones. 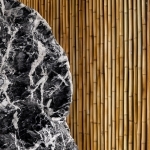 All these elements combine to create a natural and elegant space. 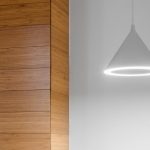 The service center is made of local white-striped stones and solid wood, simple and elegant. In the waiting area, there is no comfortable sofa but hard benches instead. 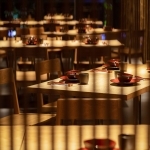 Through the bamboo grilles, the open dinning is partly hidden, presenting diligent visual effect. 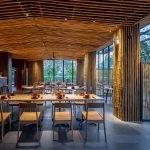 The ceiling of the dinning hall is shaped in valleys and hills with bamboos, forming rich rhythm and connection between the building and nature. 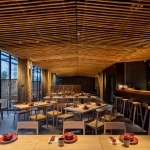 The dinning hall is well designed without partition between the indoor and outdoor. Large-area French window is employed, allowing guests to enjoy natural beauty and poetic life. 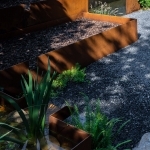 The skyline formed by the rainwater garden matches perfectly with the mountains and valleys in the distance, creating a harmonious atmosphere. 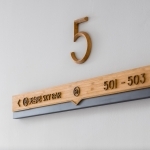 The third meaning of “ecology” is to follow the idea of sustainable eco system.The lifts to the rooms are set at where the dinning hall and the hobby meet. The aisle of every floor is decorated with wood and paintings of Huanghua Town, showing the local beauty and great elegance. 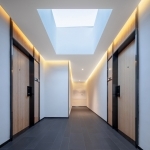 The rooms are designed in simple and elegant style, trying to leave blank for imagination. 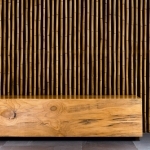 Natural and pollution-free bamboos are used for decoration, creating an elegant and warm atmosphere with every detail. 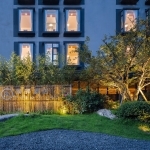 The suites on the top floor are decorated with bamboo woven lights, pliable and elegant to bring people back to nature. The bamboo enhances the intimacy between people and space, and the caring design creates a warm atmosphere, making people feel as if sleeping in the silk quilt. Natural silk quilt and the cotton satin cover will provide the guests with superior sleeping experience. Located in the 24° latitude north, Huanghua Town is green all around the year. But it is pretty cold and wet in winters. Therefore, every room is equipped with underfloor heating system, which enables guests to enjoy warm winters here. Quite different from the simple design, the washroom accessories are elaborately selected ——the degradable toothbrushes, the high-quality electric appliances and the shower sets, all show the devotion of the designers. With the development of tourism, people begin to pursue quality tours instead of fast-food style travels. 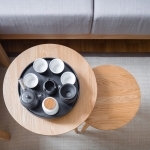 Puyi Hotel in the beautiful Huanghua town provides an ideal place for relaxation, drinking black tea and enjoying oneself in the slow time. As the famous philosopher Immanuel Kant once said, “the interest to natural beauty is a symbol of a kind heart. At five o’clock in every morning, Puyi Hotel lights the dark countryside, waiting for the esteemed guests and kind hearts. 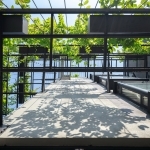 Interior Design: GVL Cultural Tourism/ Zhongchuang Architectural Design Co.,Ltd. 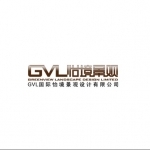 Architectural Design: GVL Culture Tourism/ Zhongchuang Architectural Design Co.,Ltd. 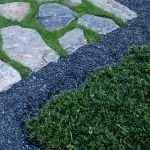 Construction: Guangzhou Huahui Landscape Engineering Co.,Ltd. 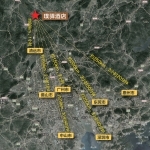 Guangdong Liangmeike Housing Project Co.,Ltd.